While writing The Science Of Sin I spent a lot of time mulling over beliefs. I’ve since moved on from focusing on religious beliefs, to explore a wider range of illogical and evidentially-unfounded assumptions that people often hold about how the world works and what goes on in it. It always comes as a shock to the system when I realise that a friend or family member has firmly-held beliefs about a superstition or conspiracy theory, despite the absence of any strong evidence to support it, so I thought I’d have a dig around in the studies that have sought to explain these tendencies. For example, I was accompanied all the way through my school days (from 5 to 18 years old) by a dear friend who benefited from exactly the same high standards of education, yet whose whose beliefs became permanently warped by the MMR-jab-causes-autism scandal. This particular conspiracy theory arose from the ashes of an utterly flawed research paper the results of which became distorted by bias and then that blown completely out of proportion. While the scandal received great attention, the large body of evidence refuting it did not penetrate society so deeply, which ultimately led my friend to deny his daughters a potentially life-saving medicine. 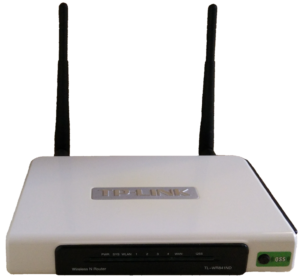 Another childhood friend whose aptitude for critical thinking could never be doubted (he went to a top-notch school, studied science at an elite university and is currently head of legal affairs for a major telecommunications firm) is so concerned about the potential impact of electromagnetic radiation emitted from various household devices, that he regularly switches off the wifi hub in his home. Science encourages a method of critical thinking that involves evaluating the evidence for and against a certain notion and trying to draw balanced conclusions based on rational evaluation of the data; rather than deciding what to believe based on a hunch, impulse or emotionally-fuelled conviction. Yet scientists are not completely immune to false beliefs. Far from it. When a more analytical mode of thought becomes second nature, scientific training can, at best, help to insulate people from the temptation to blindly-accept the received wisdom of seemingly well-intentioned strangers, conspiracy theorists and flagrant propaganda peddlers alike, but it certainly is no miracle cure. I find it fascinating, if not a little odd, that ostensibly intelligent people can hold beliefs that fly so squarely in the face of the actual evidence (autism is not caused by the MMR vaccine; wifi in the home is very unlikely to be a health risk). So this month’s blog is dedicated to outlining the findings of a recently published research paper that investigated the oft-described but rarely investigated link between people who are more apt to spot illusory patterns in random data and those who hold superstitious beliefs and/or give credence to conspiracy theories. Do you wish upon a falling star? Before I delve into that data, in the interests of full disclosure, I must admit to engaging in a certain amount of superstitious behaviour myself. 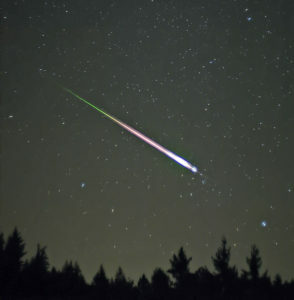 Knocking on wood for luck at the moment my words might be tempting fate and wishing on a falling star whenever I spot a meteor zipping across the sky are good examples. In my defence, in tacit acknowledgement that the superstitious responses I permit myself to indulge in are completely imaginary and have nothing to do with reality, I often change the rules of engagement on a whim rather than enduring any inconvenience on my part. 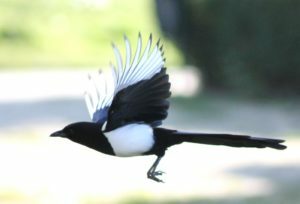 For example, when I see a lone magpie (which is allegedly unlucky for those who’ve yet to read the poem that inspired this ridiculous belief) rather than protecting myself by uttering the bad-luck-neutralising charm: “Good morning, Sir John” – I wink at it instead. Why? Because the University of Nottingham campus where I did my undergraduate degree in neuroscience was completely over-run with magpies. It became annoying to say the “magic words” over and over again each day and I was starting to worry about the looks I was getting from passers by when my mumblings drew their attention. Over the years I’ve broken the rules of conventional paranormal beliefs yet further by: a) casting my gaze around, actively searching for a second magpie (NB two magpies is supposedly lucky) whenever I’d spotted a first and then b) accepting the sound of the distinctive call of a second magpie as proof of its existence should I find myself unable to actually see the fortuitous second. I have always felt free as a bird when it came to taking such liberties because all superstitions are made up anyway, so I felt comfortable that it wouldn’t make the blindest bit of difference either way. While I choose to indulge myself in flights of fancy that are, at the end of the day, utterly harmless and regularly bend the rules of my silly superstitious beliefs to help avoid any convenience in my real life, the consequences of my friends’ respective irrational beliefs could genuinely cause harm. Accepting conspiracy theories as a genuine phenomenon really could end up causing real life problems as one person dear to my heart has allowed his false beliefs to interfere with an important decision that could have a serious impact on the health of his daughters, while the other is driving his wife up the wall every time she tries (and inevitably fails) to access the internet at home. that gives us the sense that it has been organised by some external force. Does one of the above sequences seem more random than the other? 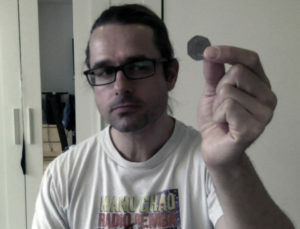 Many of you will find yourselves with the distinct feeling that it would be unlikely for a genuinely random sequence of coin tosses to result in 5 heads in a row, or that a head to tail ratio of 7:3 skews too far from the expected 50/50 split of probabilities, both of which are features of Sequence 1, but I promise you (cross my heart and hope to die) that I really did flip a coin 20 times and Sequence 1 is truly what resulted from the first ten tosses and Sequence 2 really is what resulted from the second set of ten tosses. If you do find yourself struggling to accept that this could possibly be true, convinced that there must be some untoward meddling going on in the background to yield such a distinctive feature as 5 heads in a row (followed by a suspiciously tidy 3 tails in a row, then 2 consecutive heads), then according to van Prooijen et al (2018) you are probably also prone to superstitious beliefs and/or conspiracy theories too. Those among you who are perfectly willing to accept that all sorts of suspiciously organised-looking sequences can naturally emerge from a series of random events are, conversely, much less likely to buy into superstitious claptrap and compelling yet false conspiratorial fabrications. 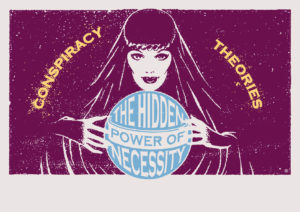 By running appropriate statistical analyses on the data they found positive correlations between the detection of seemingly-meaningful patterns in actually-random data and the belief in both conspiracy theories and superstitions. Perhaps the next logical step would be to include some questions relating to illusory pattern detection in the compulsory testing of 11-, 13-, 15-year-olds to establish which young minds might benefit the most from extra tuition in critical thinking and statistics. I am, of course, joking. In addition to these monthly brain blogs I also regularly tweet about the interesting brain research articles I stumble on in the press (@drjacklewis) and will be doing a couple of talks over the next few months about my new book: The Science of Sin.